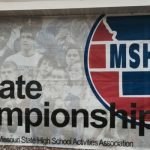 Here are comments from each athlete that ran in Saturday’s Class 3 State Cross Country meet in Jefferson City. 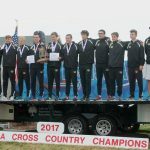 The Tigers won their fourth straight state title defeating their nearest competitor, Warrensburg, by 27 points. Trenton Childress, junior: To end the season as state champs is very fulfilling because we have worked months for this goal. 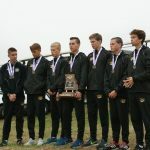 With many of the top JV runners running varsity, the Festus JV boys cross country team placed eighth at Friday’s Clayton Invitational. 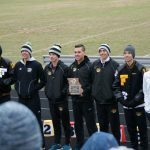 The race was the final one of the season for the Tigers. Parkway West won the meet. 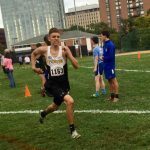 The top Tiger finisher was Gabriel Brown (11) who placed 56th with a time of 20:28.98. 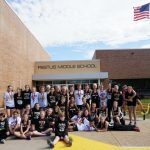 The Festus Middle School girls concluded their season Saturday by winning the Doe Run Invitational. The girls won the meet with 34 points over second place Potosi with 53. The Doe Run races by grade level, so there was an eighth grade race and a seventh grade race. 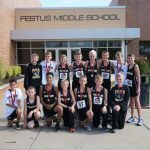 Both Festus teams won their grade level races.